Whether you are coming from Maryland or Virginia, take exit 44 for Georgetown Pike (VA-193). Turn onto VA-193 west. Drive about three miles and turn right onto Old Dominion Drive at the stop light. The entrance to the park is about one mile down the road. Coming early can save you time especially in summertime. 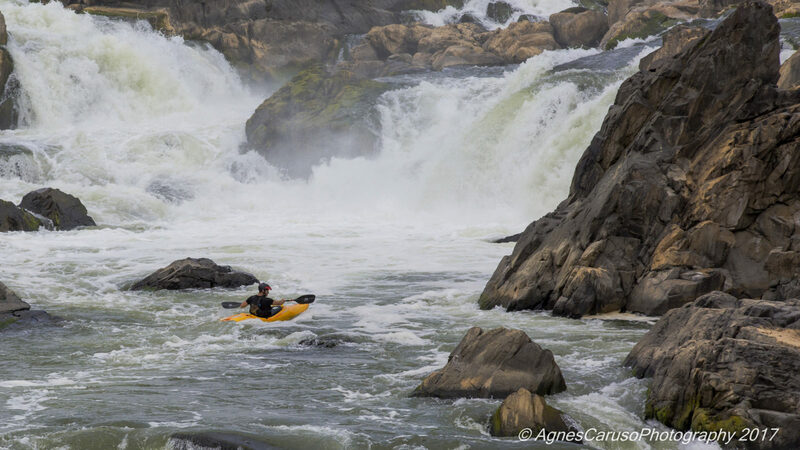 Potomac river in the Great Falls National Park is a playground for kayaking. There are many people trying their luck on the river when the water is high after heavy rains.